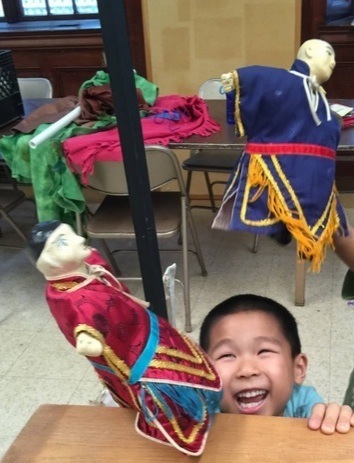 Put a puppet on your hand and the fun begins! 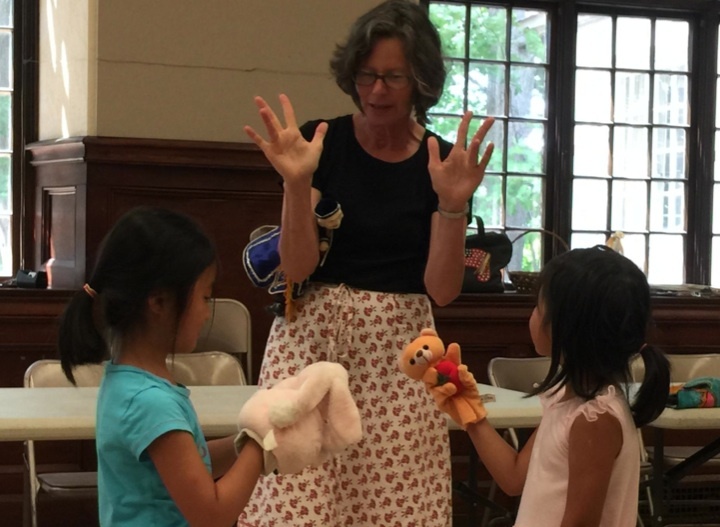 I offer workshops on puppet performance that include puppet movement, entrances and exits, and creating scenes or acting out simple stories. 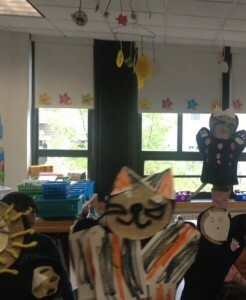 In my workshops we create simple puppets from fabric and paper and then animate them. 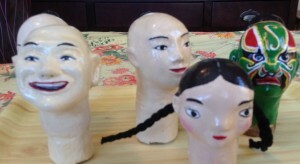 Also, I have a set of traditional Chinese puppets designed by artist Sandra Pastrana, as well as soft animal puppets that suit small hands. At birthday parties I like to lead a puppet-making activity after the show. Toilet paper roll puppets (15 to 25 minutes) or craft stick puppets (15 minutes) add a lot of fun. 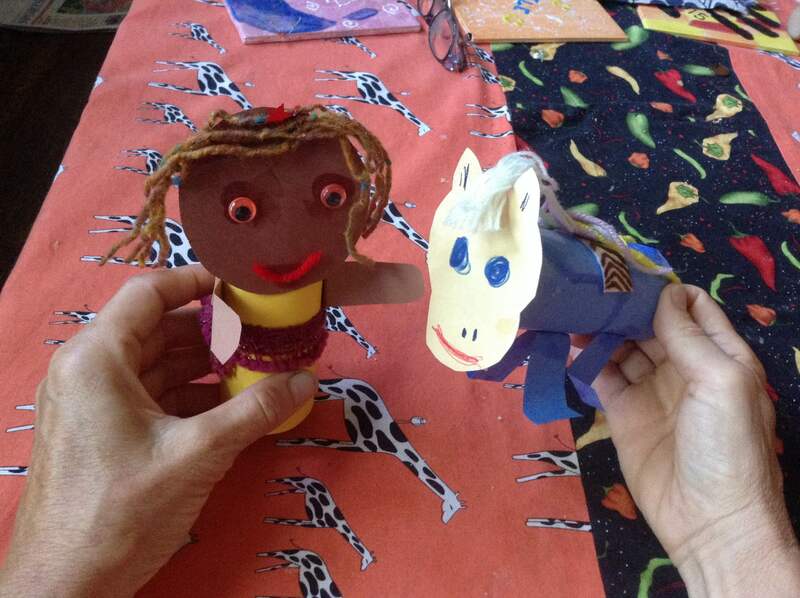 If you are interested in a workshop, please e-mail or call me so we can tailor the time to fit your group.